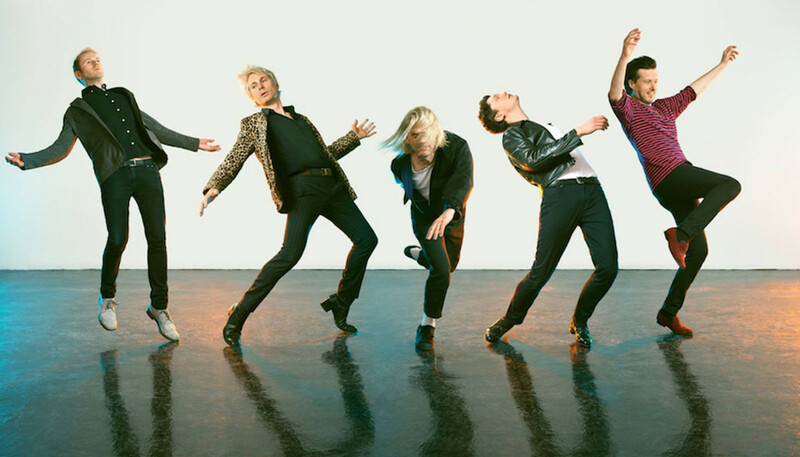 Last heard collaborating with Sparks under the excellent acronym FFS, British art-rockers Franz Ferdinand are back brandishing their fifth studio album and boasting a brand new line-up. We caught up with frontman Alex Kapranos and the band’s new keyboardist Julian Corrie to discuss how the dynamic in the band has shifted, and to get the lowdown on their latest offering, Always Ascending. You’ve got a new album and new line-up additions – you must be feeling re-energized? Alex Kapranos: Yeah things are great right now. People seem to be really liking [the new material], and the feedback we’re getting from the fans is really cool. We’re loving it right now – really, really loving it! You’ve also got a mammoth tour coming up too, taking in the UK, Japan and America. How is it to get back out on the road? AK: I still find it astonishing. You know, that you can fly across the planet, to all these places you never dreamed you’d get to? And not only do you get to go there, but you get to sing your songs, play on the stage, and people sing them back at you. It still blows my mind. We’re not the kind of band that you sit down cross-legged to come see live; you’re gonna be up on your feet and feeling the beat. 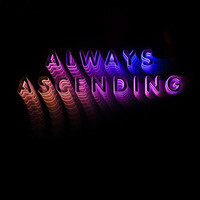 You’ve already released “Always Ascending” and “Feel The Love Go” from the new album. Why were these two selected as singles? AK: I played them to my mam and they were the ones she liked the best. You can never go wrong with your mom’s opinions. AK: I do really trust her opinion! I’m not joking either. She is not a muso at all, and is not impressed by any “cool chat” or anything like that – all she likes is a good tune. She’ll let you know straight away, and she’s really blunt – if a song’s boring she’ll let you know. She should be an A&R, she’s amazing. She’s the sixth member of Franz Ferdinand! Julian, do you think you’ve been able to bring in a new aspect to the band? AK: Ah man, he’s being too modest! He’s amazing. We call him ‘The Human Arpeggiator’ because the kind of synthesizer parts you would normally program into a sequencer just come out of his fingers. It’s totally astonishing to see. How has Julian joining shifted the dynamic in the band? AK: It’s really nice! Being in a band is essentially being in a gang, that’s all it is really. And you know, we’ve got a new gang member – a couple new gang members. It’s cool. And what is Dino Bardot, your new guitarist, bringing to the table? AK: Dino’s really cool. We’d finished the record and still thought it would be nice to bring in a fifth member to play what was the overdubs on the album. I was at my pal Charlie’s party and Dino – who’s an old friend of ours – had got a band together to play some of Charlie’s favorite songs at the birthday party. I got up and sang “I’m On Fire”, the Bruce Springsteen song, but Dino got up and he sang “Purple Rain”. And not only did he sing it, he played the solo as well, and the guitar solo in “Purple Rain” is quite the astonishing solo! I just remember my jaw hit the ground, like, “Oh man, Dino is the greatest rock star to come out of Glasgow! He needs to join the band.” It’s great having him. I mean, he’s got a swagger to him. JC: Yeah, he does! I think whenever you’re with a group of people they all bring their own thing, not only musically but personally as well. It’s like Alex said, it’s kind of like a group of people hanging out. So even when you’re not playing music, but just chatting about stuff, that has an influence on the band as well. AK: All my favourite bands always were gangs. You know, it should be a laugh as well; you should enjoy it. You collaborated with Sparks in 2015, but we’ve not had a pure Franz Ferdinand album since 2013. Fans must be really excited to have you back? AK: It’s really exciting, and we’ve had a good reception. I’ve got to say, the patience of our fans and they way they’ve been hanging on... Because we’re in this age of social media now you have contact with your fans in a way that we never really had when the band started off. So you’re aware of what people are doing all across the world. Like, we’re aware of what the fan club is doing in Brazil, and we know what the fans are doing in Tokyo or Los Angeles. So the feedback’s been really instant and really positive. I’ve got to say thanks to everyone. Julian, have the fans been welcoming towards you? JC: Oh they’ve been brilliant, yeah! They’re amazing. Like Japan, for example, they created their own hashtag for us last week – “#FranzInJapan”. They’re really cool fans over there, so generous and so welcoming. AK: Yeah, fans everywhere have been really good to you and Dino, really welcoming. JC: Which is great, because it’s obviously a little bit of a change. But I think we’ve made a really great record. AK: It’s totally different this age that we’re living in – because if you play a song live now, it’s out there. It’s immediately everywhere. What I love about that is that people are gonna be honest – if it’s a good record, people will know it’s a good record and if it’s not then people will know straight away. (Laughs) You’ve got to make a good record, haven’t you – that’s at the heart of it! Any live dates you’re particularly looking forward to? JC: Well Brixton Academy in London is going to be pretty great I imagine. AK: It’s a legendary venue. JC: Yeah, can’t wait. Looking abroad as well, I’m very much looking forward to Mexico and South America. AK: Mexico City is going to be so cool. I really love a hometown gig as well. I’m really looking forward to playing Glasgow, but also it’s going to be terrifying because my family always come down and all my pals will be there. It’s always the most terrifying audience, playing in front of people you know. It’s kind-of funny, because if I’m playing in Mexico City or London, I’m playing in front of people who didn’t know me when I was a kid. People who didn’t see me fall off my bike and make a twit out of myself! You can have this suspension of disbelief; be a completely unadulterated rock star and nothing else. But when you’re playing in front of your dad...it’s a different story. You’ve got one UK festival confirmed. Are there going to be many more? Are there any songs that you’re really looking forward playing on the festival circuit? AK: Yeah, I mean, when you’re playing a festival circuit you really have to play the bangers – you really have to play the hits! So for us the big singles from the previous records, like “Michael” or “Do You Want To?” If I was a fan, I’d want to hear them. Also the bangers off the new one, and a few deeper cuts as well. What can audiences expect from you guys? AK: You know we’ve always been a band who are quite intense and high-energy with our shows – that’s always been the story. We’re not the kind of band that you sit down cross-legged to come see live; you’re gonna be up on your feet and feeling the beat.